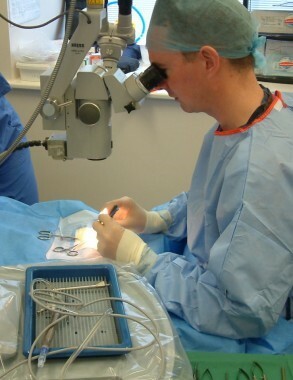 Jim Carter is our visiting ophthalmology (eye) specialist, the only RCVS Diplomate and Specialist in Veterinary Ophthalmology in the South West. Jim runs referral clinics at our Plympton surgery twice each month, where he sees pets that have been referred to him from veterinary surgeons all around the South West, as well as our own. 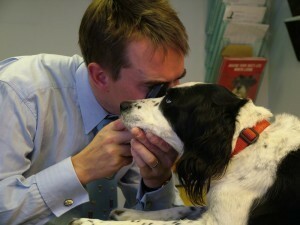 He is also a panellist for the BVA Eye Scheme which means that breeders can come to him for hereditary eye disease testing. Clients must bring with them their original Kennel Club Owners or Breeders registration certificates. We are unable to give clients the results of the tests without the original forms, a photocopy is not sufficient. For further details on the eye scheme please click here.